How does booking an artist on Soul Artists work? How do I book a talent on Soul Artists? Booking talent on Soul Artists couldn't be easier. Simply log in to your account, select artist you want either through the Discover home page, selecting an art type, selecting an event type, or just by typing anything related into our universal search box. Once you approve of an artist, go to their profile and click the "book now" button, fill in your event's details and send out the request. Your request goes directly and instantly to the artist for them to review the booking and approve or decline the job, the moment the job is approved you will be notified by email and push notifications that the artist is available and willing to do the gig. Proceed to make the payment and enjoy the show. I'm ready to hire an artist / vendor. What do I do? The first thing we recommend you do is search the for artist / vendor you want to hire. Then select which package would suite your event. Once you complete and send your event information. The artist will then either accept or decline your event. If accepted you will be redirected to the payment gateway to secure and confirm your booking with the artist. Can I pay an artist to Soul Artists over the phone? While we do make paying deposits and balances very easy, for your security and protection, we do not accept payments over the phone. If you’d like to make a payment, you can contact our Account Services Team and they will direct you to a payment page so that you can complete your transaction. You can reach our Account Services Team at +971 55 847 5105 or email admin@soulartists.net. Does Soul Artists provide contracts? Soul Artists has a general Terms and Conditions for the client and Artist / Vendor which legally binds them when booking an artist. The artist has asked me for a non-refundable deposit? Should I pay it? All payments for packages are held with the Soul Artists Website. A 50% down payment is held for the artist to confirm the booking. After the artist completes the event the remaining 50% is sent to artist. – All these transactions are done internally after you have completed the payment of your booking. With verified client reviews, ratings, and background checks, our system ensures Artists / Vendors are held to the highest standard of professionalism. Payments made through Soul Artists are secure and reinforced by our 100% money-back promise. Whether it's a deposit or the full booking balance, you'll never lose a payment made on Soul Artists. *Subject to Terms and Conditions. Need help finding the perfect vendor for your event? In search of a last-minute replacement? Our dedicated Account Specialists are just an email or phone call away! Like most reputable online shopping sites, Soul Artists uses advanced Web technology called SSL (Secure Socket Layer) to protect personal information as it travels across the Internet. Most banks employ this same reliable software to secure their own online transactions. SSL is an industry standard technology supported by Microsoft Explorer, Firefox, Safari and other popular Web browsers. Soul Artists uses it to completely encrypt your credit card data, name, address and other personal information so that it cannot be read by a third party. Once your credit card information reaches our servers, the data is protected with encryption to ensure that your data remains private. If you have additional questions about our security measures, please email us at admin@soulartists.net. Simply login to your Account* and click on the Profile thumbnail at the top of the page. You can update all of your key account information from this page. * Click here if you don't remember your username or password. How do I log into my Profile Control Panel? I forgot my username, my password, or both. Then enter your primary email address and click on the "Submit" button. We'll then email you your username and password. How long will it take the artist / vendor to get back to me with their confirmation? As soon as you submit your booking. The artist will receive a notification and email to accept your booking. On average the artist usually gets back within the hour. What happens if the artist doesn't reply to my request? If the artist does not respond to the request within 24 hours, our team personally reaches out to the artist to confirm their availability, if that fails, then the request will automatically be cancelled. Why should I submit my phone number and email address to view the Artists packages? Artists need to know how to reach you. You will first be contacted via email for the booking confirmation. After that your contact details will be shared for logistical purposes. with the artist once the payment to confirm the booking is made. How do I know how much an Artist / vendor charges? Click on the name of the artist to open their Profile. Click the "Book Now" button to view the artist's package pricing. I can't see the prices of some artists, how can I know how much their services will cost me? Some artists prefer not to disclose their prices publicly, for that you can send them an offer by creating a custom package that will appear after clicking the "book now" button, simply fill in your event's details and proposed offer. This will go directly to the artist to review, approve, or decline. If approved you will be notified and taken to the payment gateway to finish the payment and complete the booking. I can't find the talent I'm looking for, why does it seem there is less artists listed than I thought? Soul Artists is a dynamic platform that is sensitive to the country you log in from or have selected in the main page. Changing the country will change the artists that appear on your page. Whatever country is selected will show the artists of that country. Changing your country will change the artists that are displayed to you in respect to the selected location. What determines the order of the search results? When you search Soul Artists using the location of your event and the type of entertainer/vendor you are looking for, we return a list of "best match" results for your search. The "best match" order is calculated based on location, category and our Artists / Vendors' Soul Artists ranking (as determined by their booking history with us). We do this in order to serve you the best possible results first. You can however also sort solely by rating (where distance is not a factor) or distance from the event (where rating is not a factor). 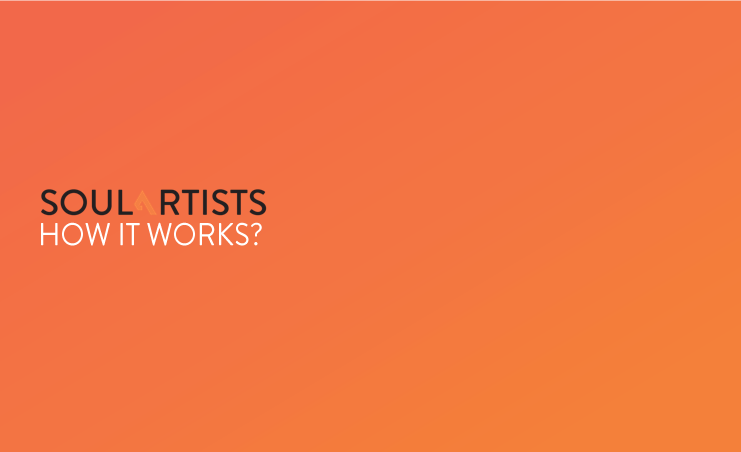 Artists who pay to (Get Featured) also appear on the top of the search results, and they are marked with an orange bird next to their name. Where can I read previous client feedback about each vendor appearing in the search results? On the search results page, if an entertainer or vendor has received Soul Artists client feedback, you will see a 'Reviews' hyperlink next to the vendor's name and rating. Click the hyperlink to read the client feedback. You can also read all of an entertainer or vendor's client reviews directly on their Profile page. Why do my search results include some entertainers or Artists / Vendors from other countries? We realize that ideally, you'll want to hire an entertainer or vendor who is close to your event. However, sometimes the perfect entertainer is abroad and requires an international booking. Can I request a background check for a certain vendor? Soul Artists Artists / Vendors are not required to complete background checks, so we do not permit clients to request them. All Artists / Vendors are verified by the Soul Artists team as genuine artists who can handle the requests they claim they can. How are the entertainers and Artists / Vendors ratings determined? The Soul Artists rating is calculated based on authentic client reviews alone. After each event, the client receives a survey with questions about their experience with the Soul Artists vendor that they booked. The post-event survey contains questions about professionalism, talent, and overall satisfaction. The answers to the survey questions are tallied and then averaged with previous feedback to calculate the actual star rating that appears on the vendor's Profile. How can I view the complete background check for a vendor? We do not share complete background checks with anyone. We can only tell you if a vendor has passed a background check from our internal criteria. I'm unable to listen to audio or watch video, why? Our media files may not be compatible with your web browser, or you may need to update your web browser. We recommend using the most up to date version of either Mozilla Firefox, Google Chrome, Safari, or Internet Explorer. When a vendor fails a background check, are they removed from the Soul Artists site? If a vendor fails a background check, steps would be taken by Soul Artists to investigate the issue, and take any action necessary. I'm an artist, how can I post my talent profile on the platform? Getting your profile listed on Soul Artists is pretty straight-forward, just create an account, then activate the button that says (Im an artist). Once that is done you will have options to upload your content and fill in your profile, once it reaches a %100 completion status it will go to our team for review and background checking. If it gets approved you will be notified that your profile is now live and any changes you make onwards will reflect on your profile in real-time. The client booked my services and cancelled the event just days before my performance what happens now? Because we understand that artists block the dates they are booked for and in many cases refuse booking offers they get in that respect. Soul Artists still pays out the artist 50% of the booking fee as compensation for booking the date.